The version numbers could be different on different computers. After this notification, problems such as the speakers on your computer are not working straight or even computer shutting down out of nowhere could come along. Problems as such could be rather frustrating. This post will introduce four mostly used ways to help you fix the problem. Judging from the different version numbers noted on the notification, it is suggested you try to roll the audio driver back to its previous stage first. Here is how you could do it. 2) Expand Sound, video and game controllers option and right click your audio device and choose Properties. 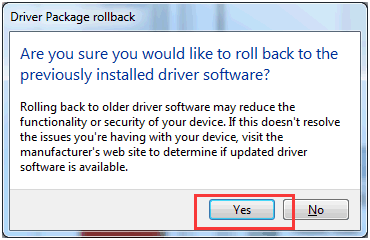 3) Under Driver tab, choose Roll Back Driver and then choose OK to save the change. 5) Wait for a couple of seconds for the system to help you with the process. Then you should be able to see the notification asking you to restart, please click Yes for the change to take effect. 6) After the restart of your computer, please check and see if the problem still persists. Note: If the Roll Back Driver option is grey, that means you could not do this procedure as planned. you need to perform other operations for the problem to go away. 2) Expand Sound, video and game controllers option. 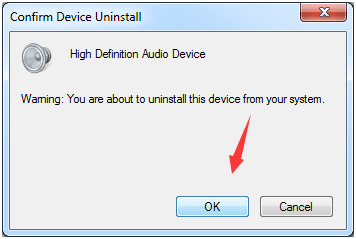 Right click the audio devices on your computer and choose Uninstall. 3) Confirm the option by clicking Yes. You may need to repeat this procedure with Realtek or Conexant or some other audio device and Dolby audio device. 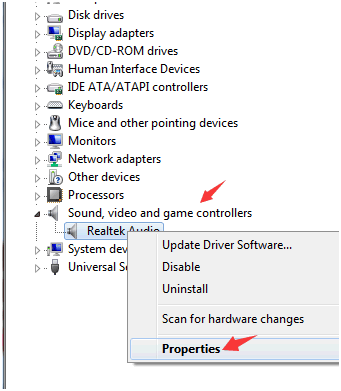 4) Reboot your computer after this so Windows can update the correct drivers for you. 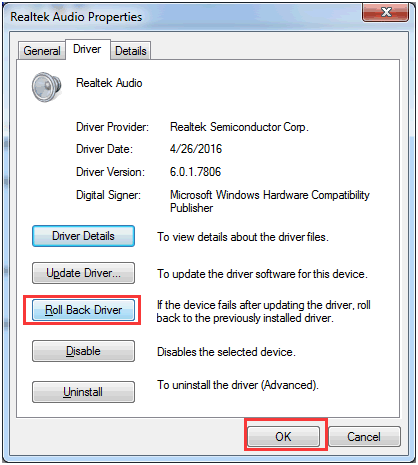 The notification indicates that your system needs an older version of audio driver for the audio device on it to work, so you might need to consider looking for the older version of audio drivers online. You could go to the official website such as Realtek or Conexant to download the driver you need (here is a post showing you how to do it on Realtek website), or go to the manufacturer of your computer to get the driver, which might requires license code in some case. Driver Easy is a software that helps you detect, download and install the drivers that are best-matched with your computer. Features such as driver backup and driver restore help you roll your driver back to its previous stage without set backs. 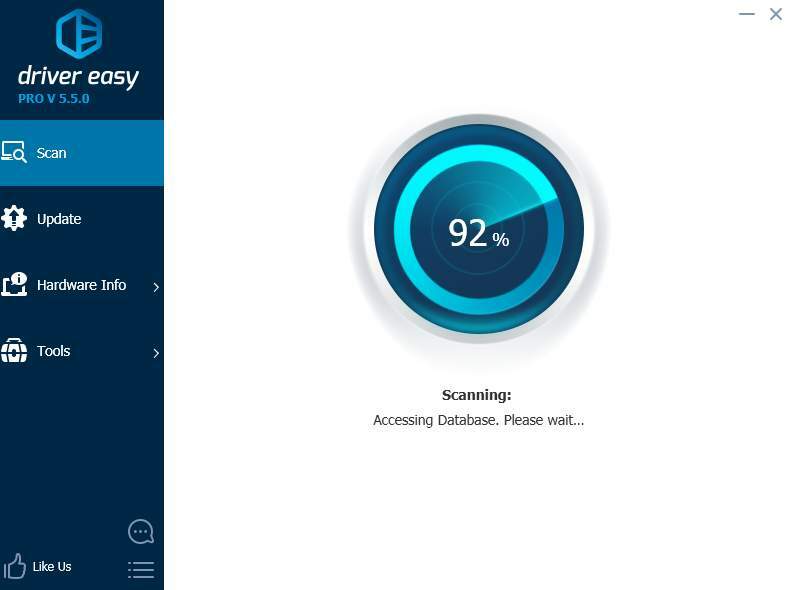 Moreover, Driver Easy is a free software, you could download the free version of it to have a try yourself. If you enjoy using it and it indeed helps you solve your driver problem, it is always welcome that you upgrade it to the professional version to enjoy more features and professional technical support from our professional team. It is totally okay if you regret the purchase, there is a 30-day refund policy of our product to ensure you a better user experience than other products. For more purchase details, please visit the purchase webpage here.